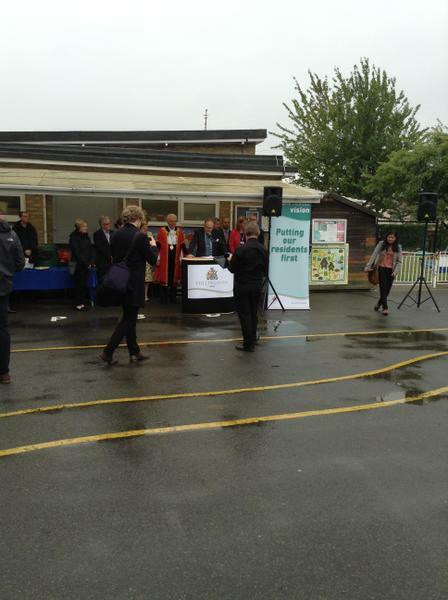 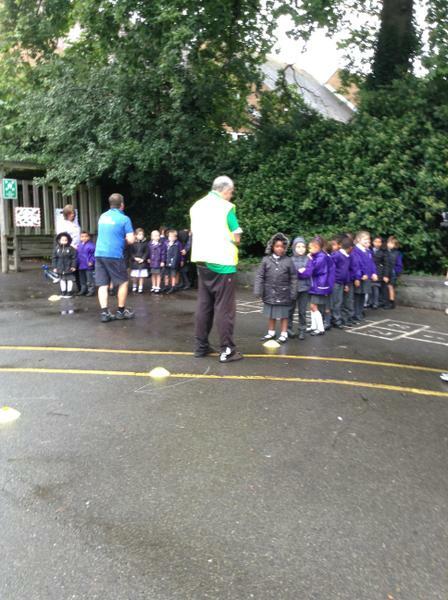 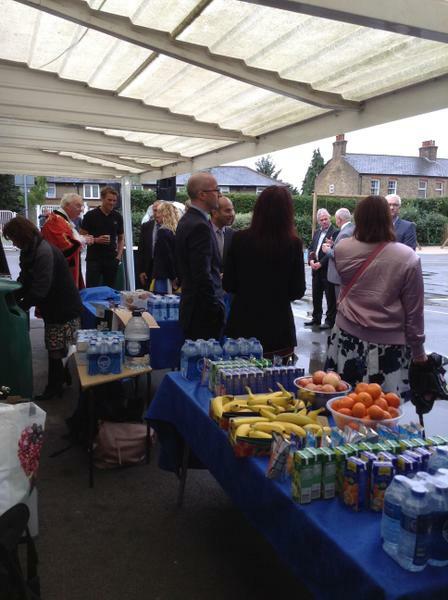 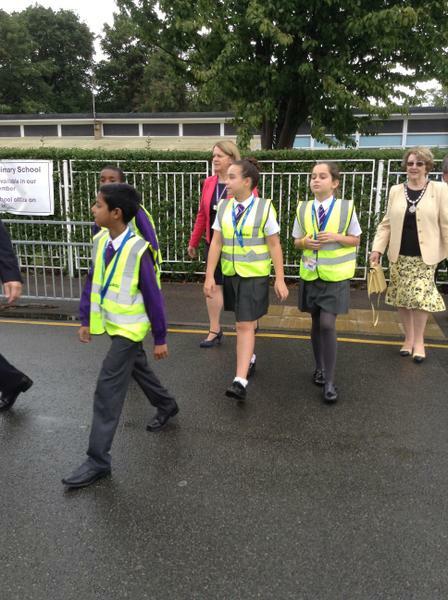 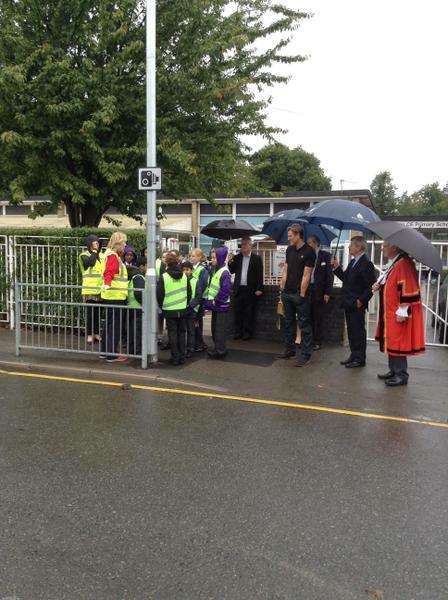 On Thursday 29th September this school hosted the Borough’s School Keep Clear Event. 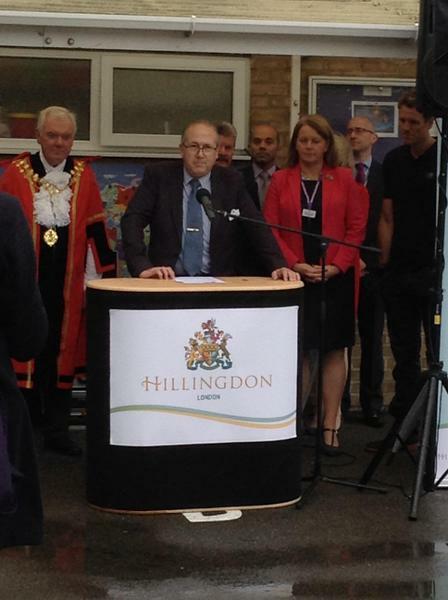 This was to launch the new CCTV scheme which has been installed outside many schools in the borough including ours. 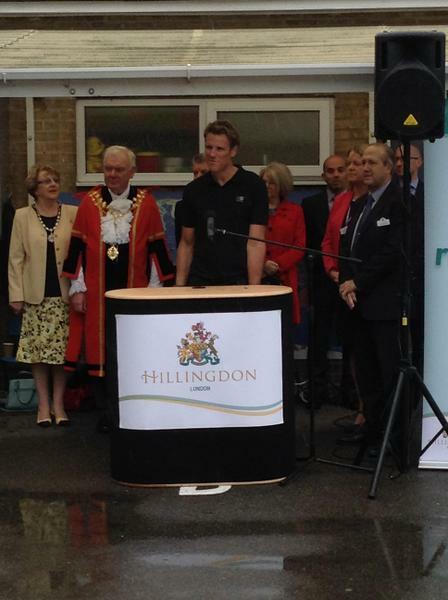 This means that anybody parked on the zig-zag lines will be photographed and automatically fined. 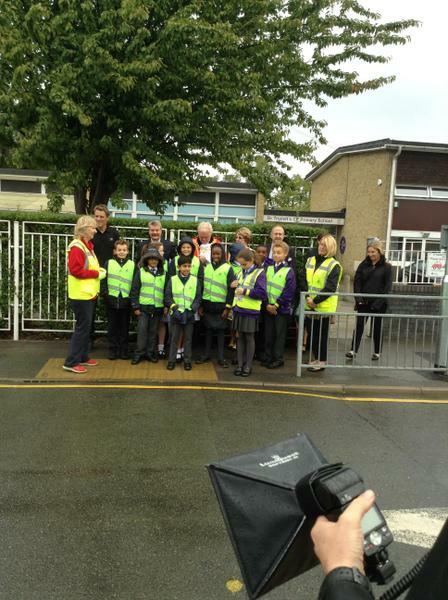 We see this as a welcome deterrent and hope that it will serve to make Hemmen Lane and the school entrance a safer place for our children and others in the local community. 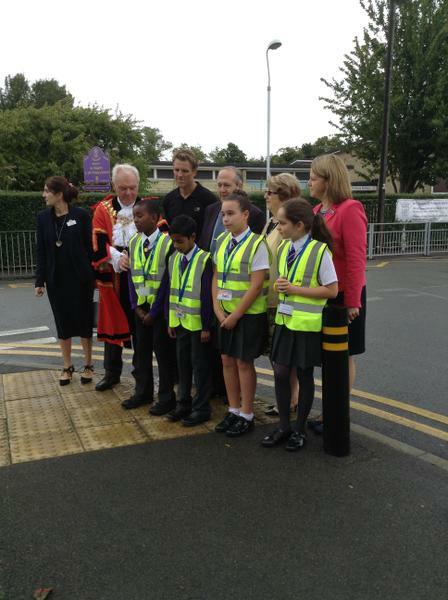 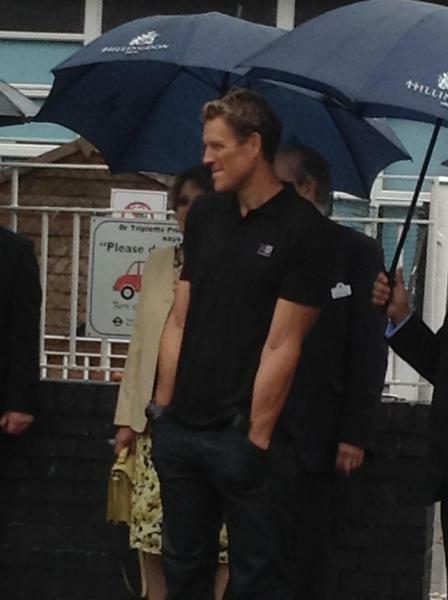 This event was attended by James Cracknell OBE, former Olympic Gold Medallist, but also President of the London Road Safety Council; Councillor Ray Puddifoot MBE, Leader of the Council; Councillor Keith Burrows Cabinet member for Planning, Transportation and Recycling; the Hillingdon Mayor and Mayoress; other local councillors and VIPs and of course Fred the Penguin! 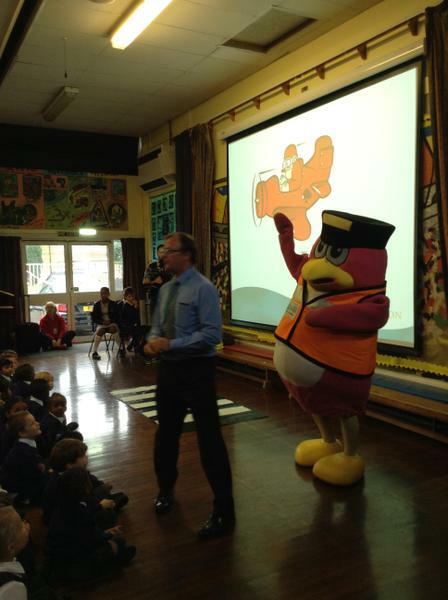 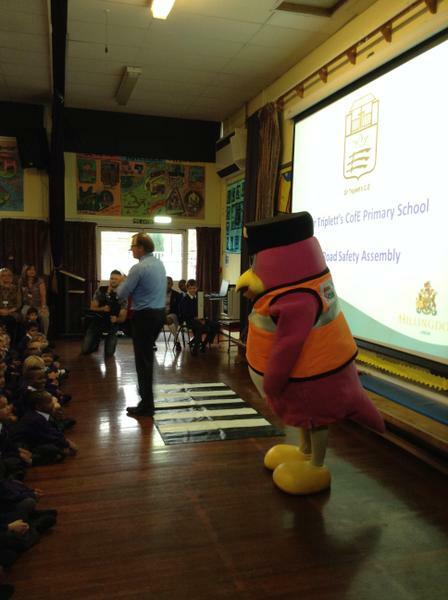 Our day started with a whole school assembly reminding us all about safe road use followed by scooter and road safety training for years 1, 2 and 6, a speech and official launching of the campaign by Councillor Puddifoot and lots of photo opportunities.